For over 4 years, Queen City Sewer Service has been providing emergency septic services and repairs for the city of Regina, SK. Our staff has over 50 years of experience, and we work with vacuum trucks to provide septic tank cleaning, troubleshooting, and pump replacement and repairs. Located in Regina, we offer competitive prices for an honest, reliable value. We are The Little Guy. We specialize in working with customers with large acreages as well as residential and commercial. Call us today and we’ll put our years of experience to work for you – there is always someone on call to handle any service you may need. 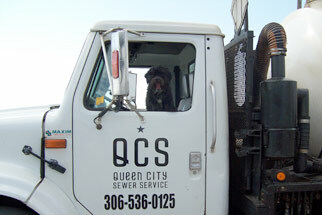 At Queen City Sewer Service, we’ll treat you and your sewer system like royalty.